Neglected auto maintenance down the line will no doubt cost you more to fix later or could cost you resale value. Just basic things like checking your oil can make your vehicle safer for you to drive near Fairfax Station, VA. Check Oil, Filter, and Fluids—Each time you fill up with gas, you should check the oil to get the maximum life from your vehicle. The oil should be changed according to the owner’s manual recommended intervals. Brakes, power steering, coolant, transmission, and windshield washer fluids should also be checked on a regular basis. Your car’s filters for the transmission, fuel system, and interior ventilation should be regularly inspected and replaced as needed when you have your regular oil change auto maintenance near Fairfax Station, VA. Check Brake System—Your brake system should be checked at least once a year. Brake linings, rotors, and drums should be inspected at every oil change. Check Battery Connections—Battery connections should be clean and corrosion-free, and tight and securely mounted. If your battery is more than three years old, have it tested and replaced if necessary. Check Exhaust System—Inspected the exhaust system for leaks, damage, and for broken hangers or supports. Exhaust leaks are dangerous and should be corrected immediately. Inspect Steering and Suspension System—Your steering and suspension system should be checked annually, including the struts, shock absorbent and chassis parts, such as tie rod ends, ball joints, and other related components. Check Heating and Air Conditioning—Before colder and warmer weather, you should check your car’s heating and air conditioning system because proper heating and cooling performance is critical for interior comfort and for defrosting. 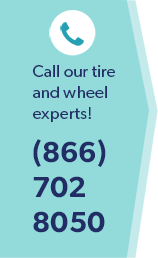 Check Tire Pressure—Check your vehicles tread for uneven or irregular wear and cuts along the sidewalls. Have your car’s alignment checked at least once a year to reduce tire wear and improve gas mileage and handling. Replace Windshield Wiper Blades—Inspect your windshield wiper blades every six months and replace them when they are torn, cracked, cut, or streaking for optimum performance and safety. Regular auto maintenance near Fairfax Station, VA is important for the safety of you, your family, and other drivers sharing the same roads you travel. Schedule an auto tune-up to help your vehicle’s engine deliver the best performance.